While the characters were a very entertaining aspect of the novel, the themes were also important. The mages in the novel are discriminated against and forced to register once their powers manifest or face terrible consequences, which could be execution. This, in addition to the crime families and their dealings, really makes the reader, as well as the character, question what is right and if it is always right. I think this would be a great classroom book due to the depth of the novel and the entertainment value. 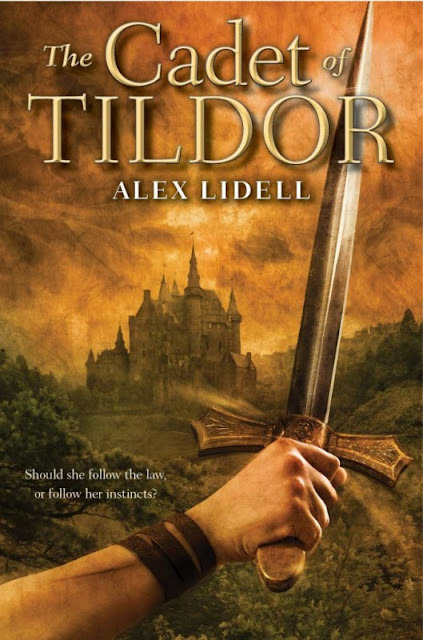 The Cadet of Tildor is a wonderful debut, and I look forward to reading more of Alex Lidell's work in the future. Be sure to order your copy of The Cadet of Tildor today! Fabulous review! I'm just starting an ARC of this...agree, Renee is a great role model.